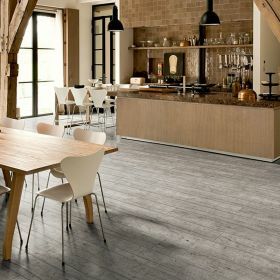 Luxury Vinyl tiles (LVT) or Luxury Vinyl planks, is an incredible floor that is manufactured using modern advanced techniques, extremely durable floor covering that has grabbed the imagination of architects and consumers alike. With the state-of-the-art technology that is used in making todays vinyl flooring, it no longer falls under the category of budget flooring. With endless possibilities of design, it’s gone from basic looking to great looking. 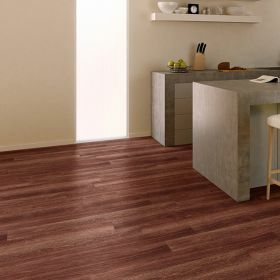 Luxury Vinyl Tiles are an incredible floor covering not only looks great for decades, due to its very thin dimensions it's also perfect for quick and hassle-free renovations. Manufactured using modern advanced techniques, luxury vinyl tiles are composed of layers of Virgin PVC fused together under great pressure with a decor paper as the middle layer and a protective UV coating at the top layer which protects the flooring from fading due to excessive sunlight and protects the floor from wear and tear, leading to a long-lasting beautiful floor covering that is 100% waterproof. 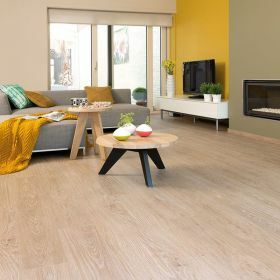 At Floorworld we offer many different decors which are basically two types of luxury vinyl tile from world renowned manufacturers Gerbur, Amtico, Karndean and Quickstep, they come in two variety of installation, Glue down and click. Glue down Vinyl flooring is exactly what the name suggests. 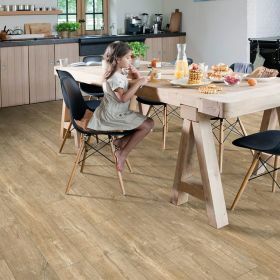 The tiles/planks are installed with glue to the subfloor and LVT-click uses the interlocking system and is clicked together to stay in place as a floating floor and they are slightly thicker and heavier than the glue down. 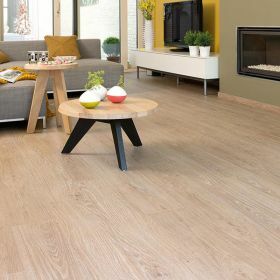 Glue down Vinyl planks are typically more flexible than an LVT click tile with an overall 2mm thickness, which is stuck directly to the subfloor and enables countless Décor options to suit your style. 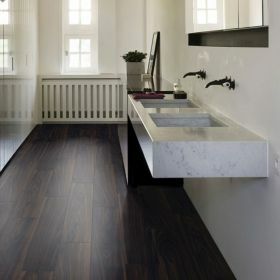 All this and the excellent durability and low maintenance is why Gerbur- vinyl flooring is a fab alternative to wood floors. 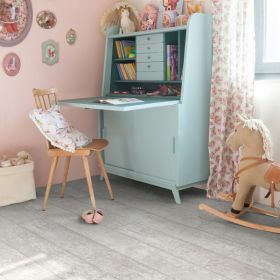 LVT (Luxury Vinyl Tiles) are made up of 100% virgin PVC (polyvinyl chloride) which are 100% recyclable, bringing the best finishes of Vinyl flooring to you. It offers you the realistic feeling & look of real wood with no disadvantages. 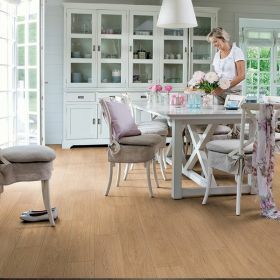 The desire to bring to you the real look and feeling of wooden flooring in vinyl made Gurber & Quick Step to produce LVT (Luxury Vinyl Tiles). Floorworld LLC is the leading supplier of luxury vinyl tiles in UAE, having showrooms and Stores across Dubai and Abu Dhabi. We hold over 200,000 sqm of flooring in stock. 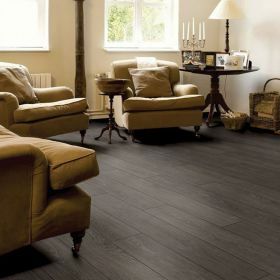 In the flooring world, you can not mention Luxury Vinyl Flooring in UAE without the name of FLOORWORLD LLC. 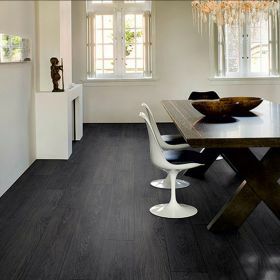 Our Luxury Vinyl Flooring is one of the best in the flooring market, we have over 20 types, multiple colors and finishes that matches the taste of every customer. 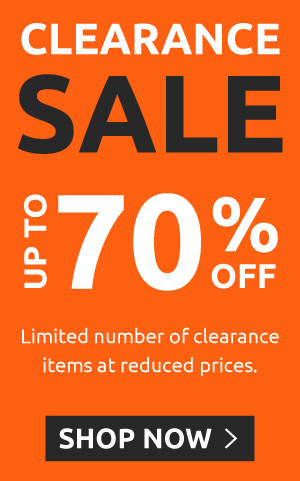 Our prices range from as low as 50 AED per square meter with minimum of 20 years residential warranty. In LVT we have the glue down system and the clicking system, zero joint and beveled edge, it can be used for designs/patterns of your choice. 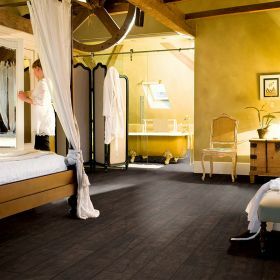 Floorworld LLC plays with flooring when it comes to designs and patterns. Our LVT comes with different thicknesses, such as 2mm, 3mm, 4mm, 4.5mm and 5mm. we have installed an LVT for a customer that caused a major argument between him and his friend as his friend insist that what we installed for the customer is a real wood not LVT, as he could not tell from the finishing if it is a real wood or LVT, that is what our LVT looks like after installation, with our professional installation team that are trained to UK standard. 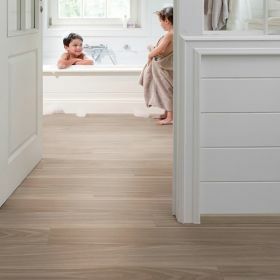 We have an unbeatable record in the market, Our LVT’s are water proof, easy to install, re usable when you change apartment, room, offices etc, low maintenance, registered emboss of real wood, quiet when you walk on it, eco friendly, warm under foot and many more.